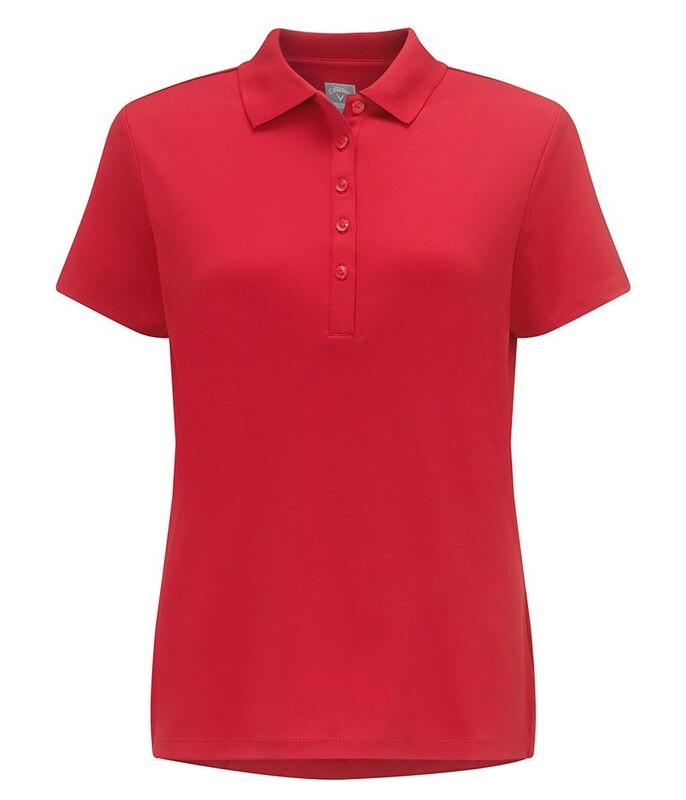 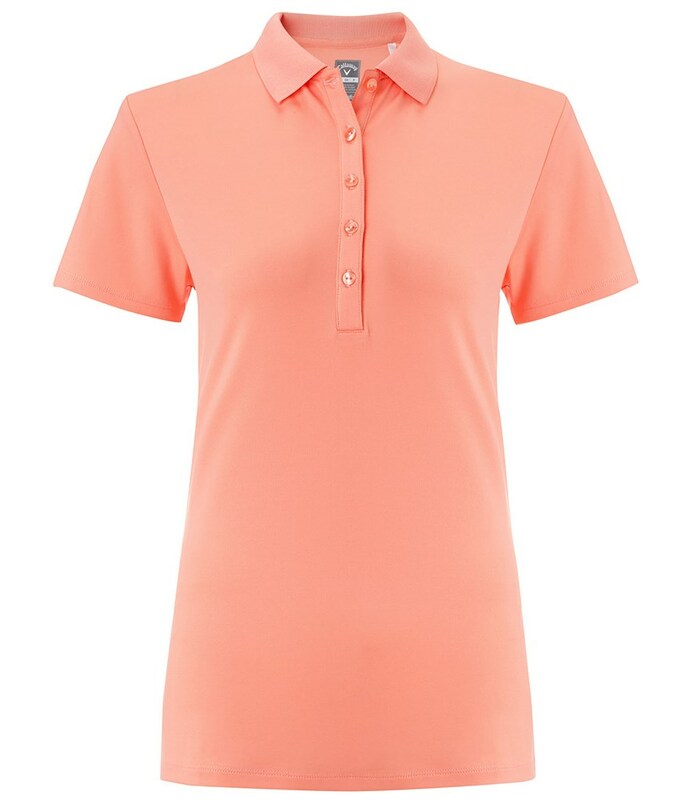 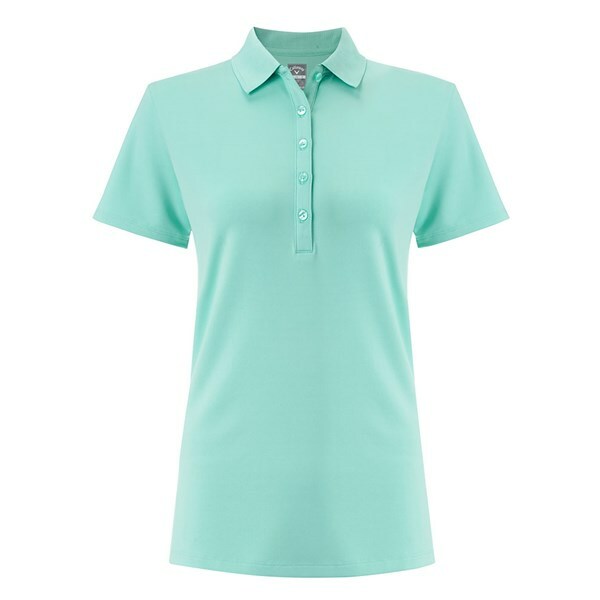 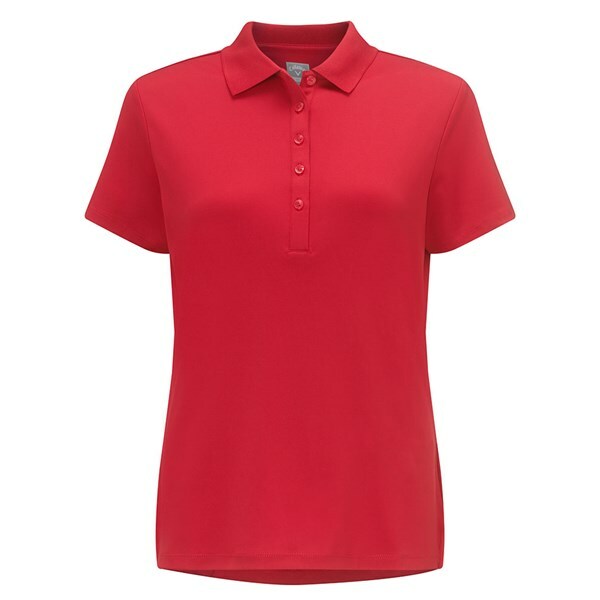 The Ladies Classic Chev Solid Polo Shirt from Callaway is available in six colours that should be a must for your golf wardrobe. 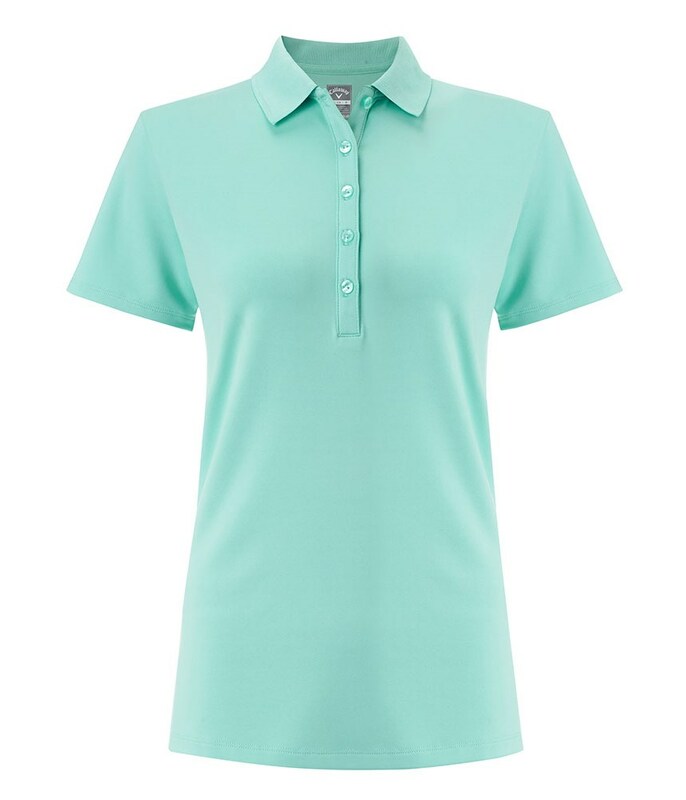 With the flattering feminine side vents, hi-low hem and back princess seams each colour will look fantastic on and be super comfortable to play golf in all year round. 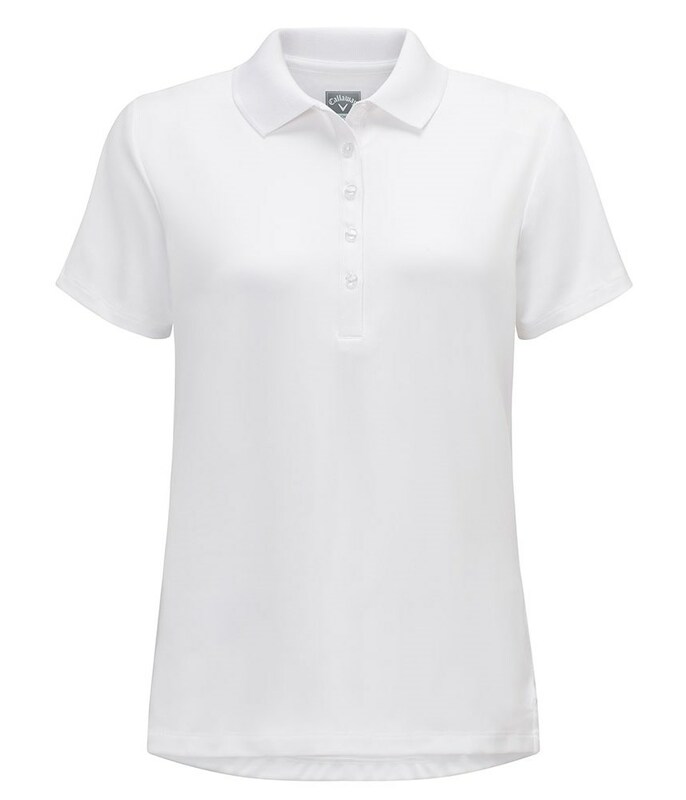 Opti-Shield Technology - Provides a UV protection finish to the shorts to keep the covered parts protected from the sun. 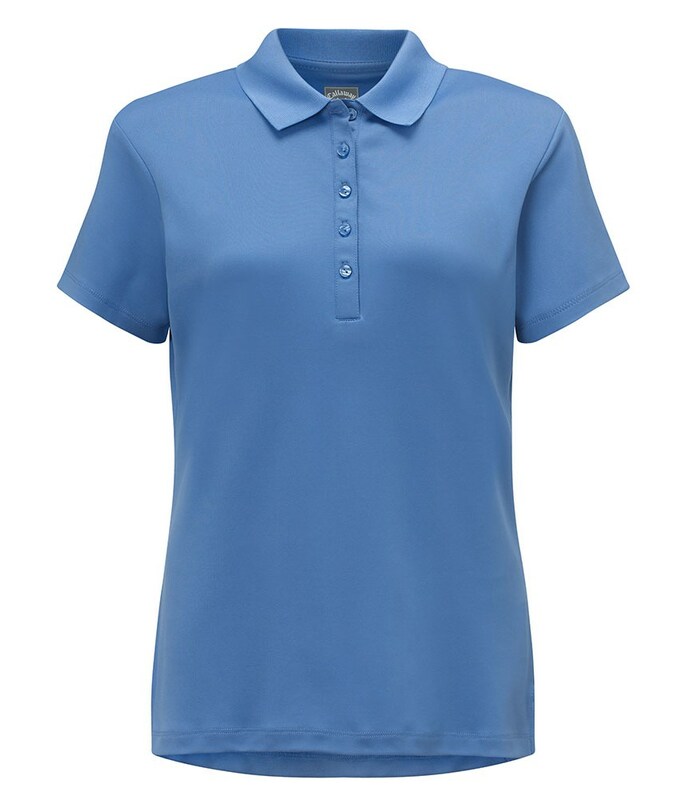 Opti-Stretch Technology - The soft to touch and stretchy polyester / spandex fabric is super comfortable to wear and play golf in. 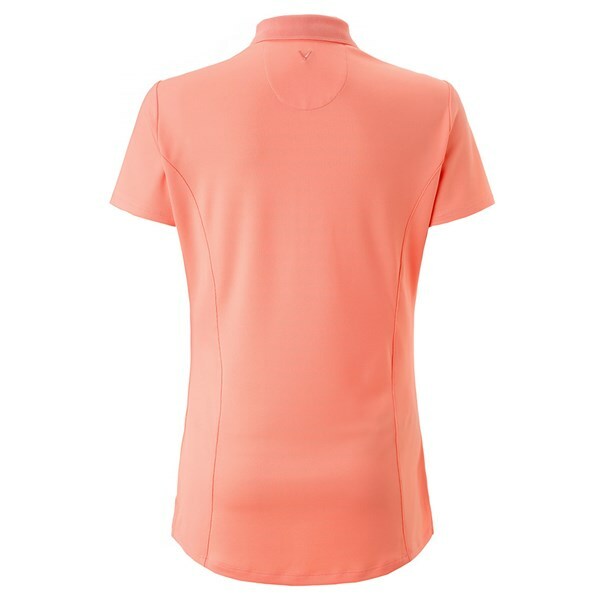 The technology also helps maintain the shape and fit of the shirt for longer. 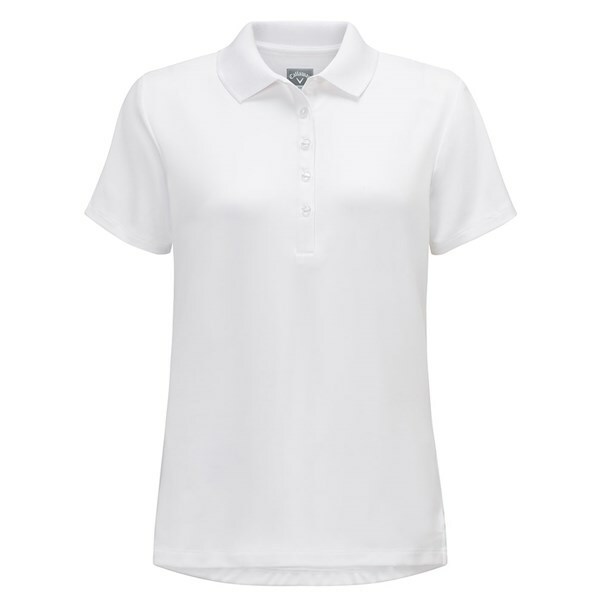 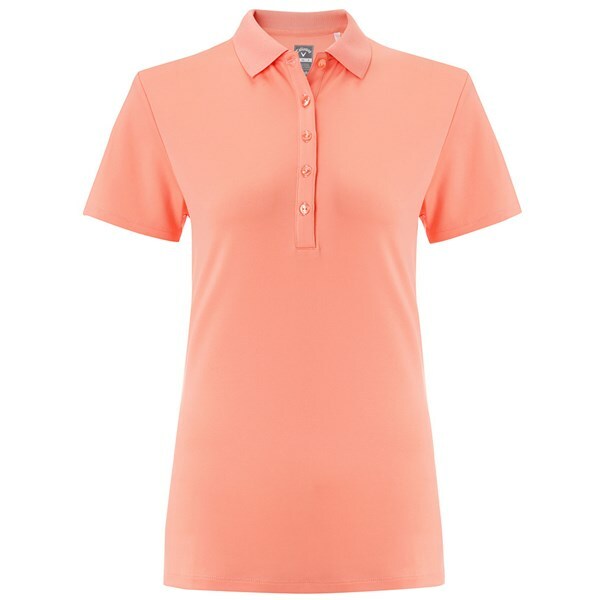 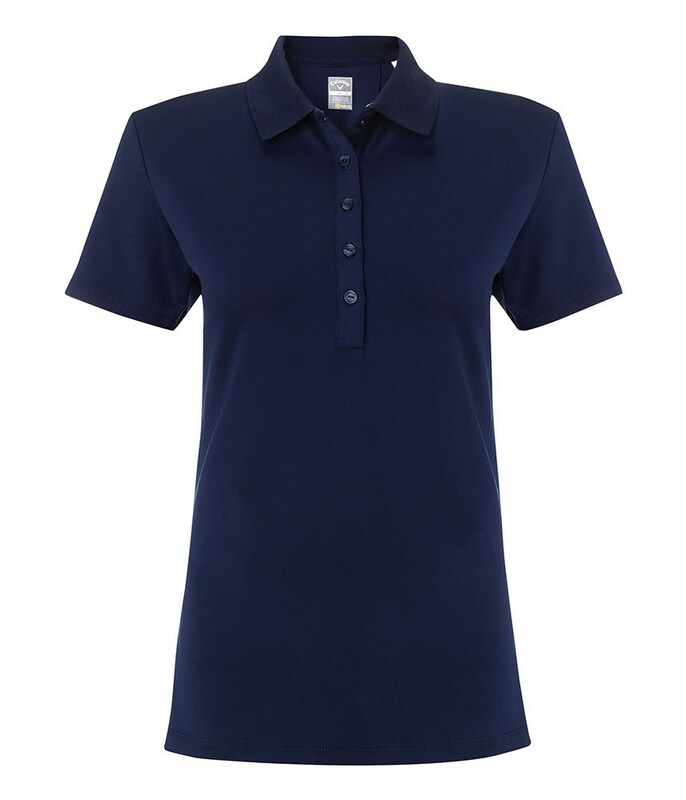 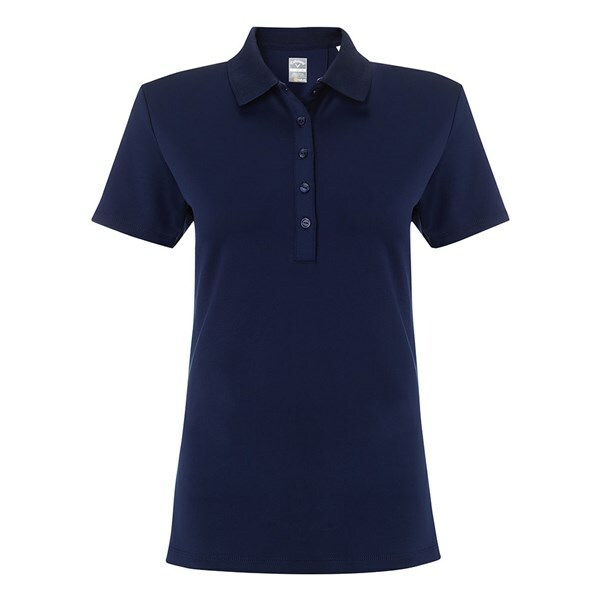 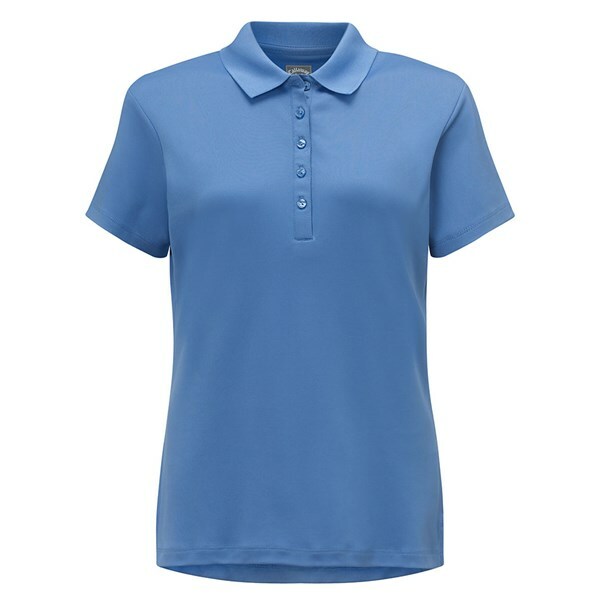 Short sleeve essential polo with a rib knit collar, and back princess seams. 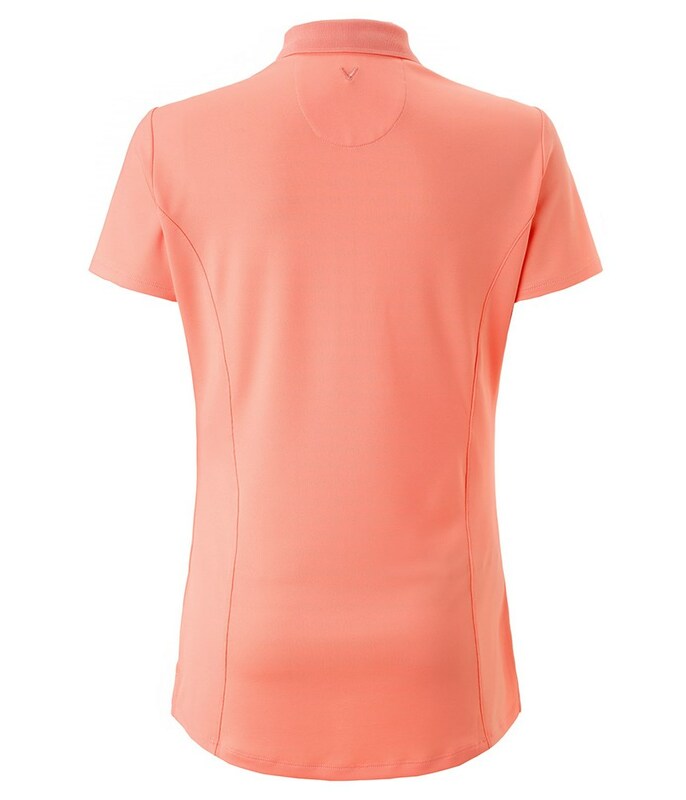 Side vents and hi-lo hem. 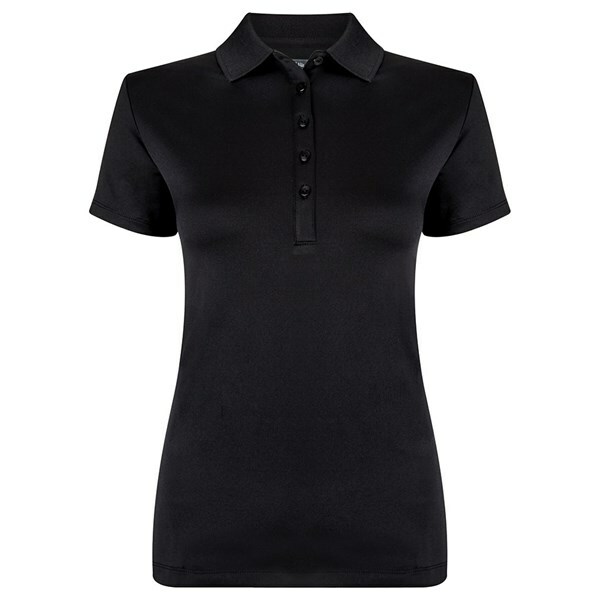 With stretch and SPF 40 protection. 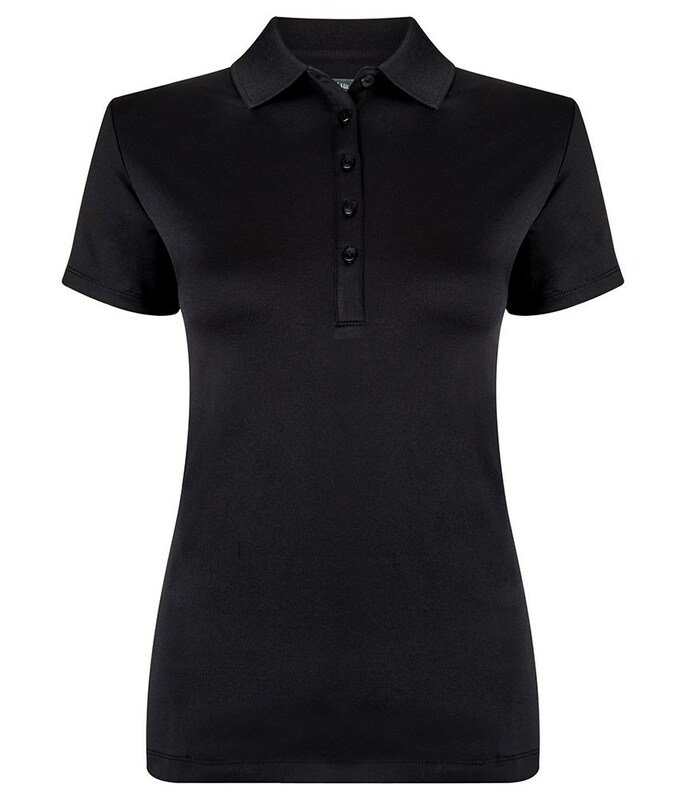 Embroidered Callaway Chevron on the centre back neck.